Dr. Frederick A. Swarts is the New World Encyclopedia Life sciences editor. Dr. Swarts holds the post of Assistant Secretary-General for the World Association of Non-Governmental Organizations (WANGO), an international membership organization for non-profit organizations worldwide, with members in more than 140 nations. 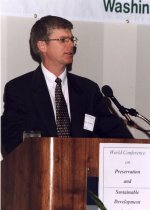 Dr. Swarts is President and Senior Research Scientist for Aquatic Ecology with the Waterland Research Institute for Water and Land Resources, a non-profit, inter-disciplinary, research, education, and conservation organization primarily active in the Paraguay River Basin in Brazil, Bolivia and Paraguay. He is an adjunct professor with the International College of the University of Bridgeport, teaching graduate level courses in sustainable development and research methods. He also serves as Academic Dean for Bridgeport International Academy. 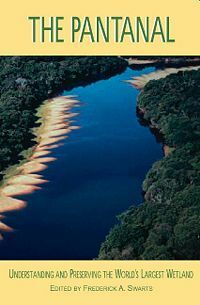 He has served as Secretary General of the World Conference on Preservation and Sustainable Development in the Pantanal (2000), and Secretary General of the International Conference on Agriculture and the Environment in the Paraguay River Basin (2001). Among other experiences of note, Dr. Swarts gave the Keynote Address for the Society of Wetland Scientists 1999 Annual Conference, organized a panel on The World’s Fresh Water & Wetlands in the 21st Century, for the State of the World Forum 2000, New York, NY, and organized and headed a fact-finding tour of American and international authorities to the Pantanal area of Mato Grosso do Sul, Brazil. He serves and has served on the board of directors of several non-profit organizations. This page was last modified on 2 October 2011, at 16:42.